Despite being way into food, I’m not way into meal planning ahead of time. It’s definitely something I’d end up doing if I lived with other people, but my two kitties don’t demand the micromanagement. So what you’re seeing above often constitutes my “meal planning.” Million of pizzas, pizzas for me! 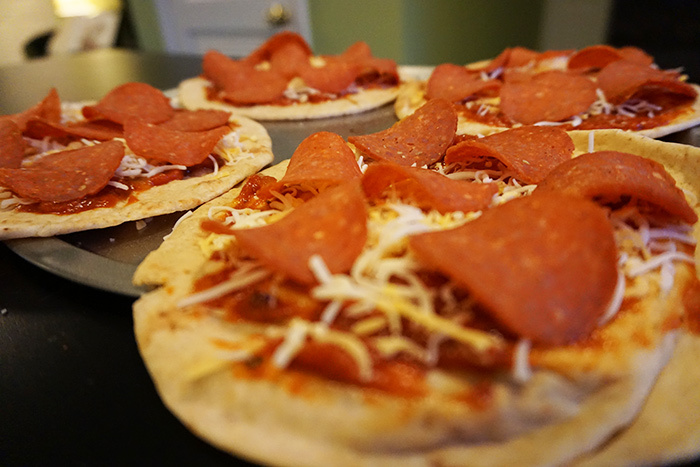 I use a Joseph’s Flax Oat Brand & Whole Wheat pita, some homemade or premade sauce (if I’m being extra lazy), half an ounce of light shredded cheese, and half an ounce of turkey pepperoni. It’s 175 calories for the whole thing. Can’t beat it with a stick. I’ll often add spinach, onions, and/or garlic when I’m feeling shmancier. These often become lunches for the week. 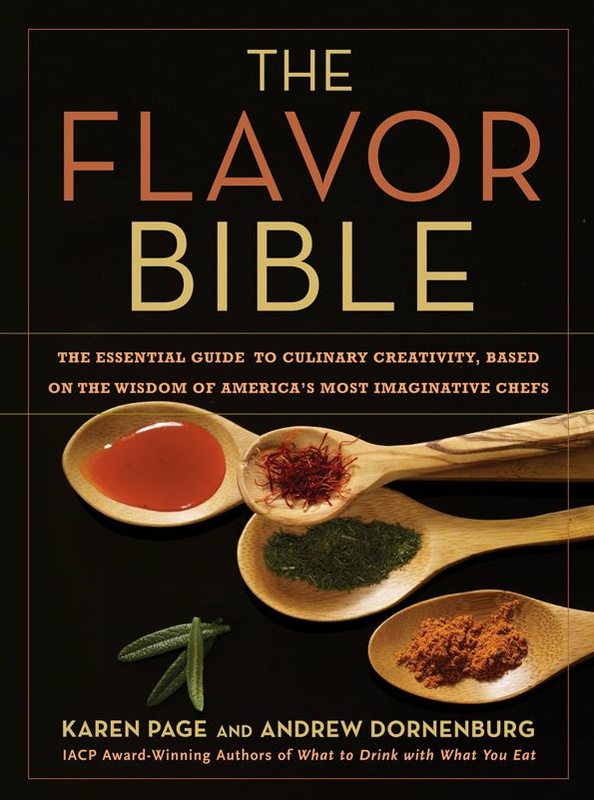 Oh dear glob, this book is making my food life these days. I was introduced to it by a friend of a friend in LA who is an amazing chef. It’s like a dating book for food: what foods pair well with other foods so you can mix and match to create new flavors and textures. I’ve had my nose in this for days now since I got it. I may write a whole post about this bad boy. Loving this cutie mustard-detailed necklace from Ruche. Oh, and maybe this ring, too. Must put down the mouse and walk away slowly. 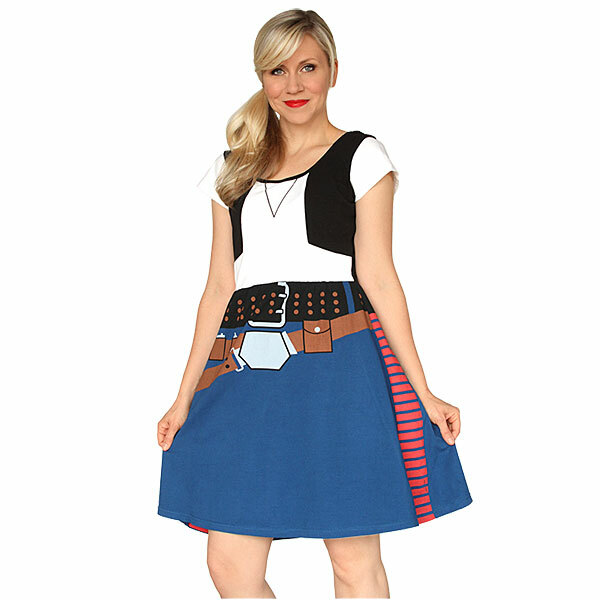 I can get behind a gender-bendy cosplay dress any day, especially this Han Solo version. Have you guys ever seen this Clueless parody with the cast of The Golden Girls from back in the day? How had I never seen this before?! // Who’s got a Vegetti yet? I’m seriously debating getting one of these trendy as-seen-on-TV gadgets (or a fancier version) for the zucchini noodle options alone. // I love seeing how much water content is in fruits and veggies. I’m always struggling with water intake, so it gives me some peace of mind. // The daily internal monologue of a freelancer. Thankfully most of this isn’t in my daily routine (working from home for five years makes you used to being your own task master), but man was it funny. // My new internet cat hero, which is a big deal since I follow A LOT of internet cats, as evidenced by this tweet. Happy Friday, you fabulous watermelons!